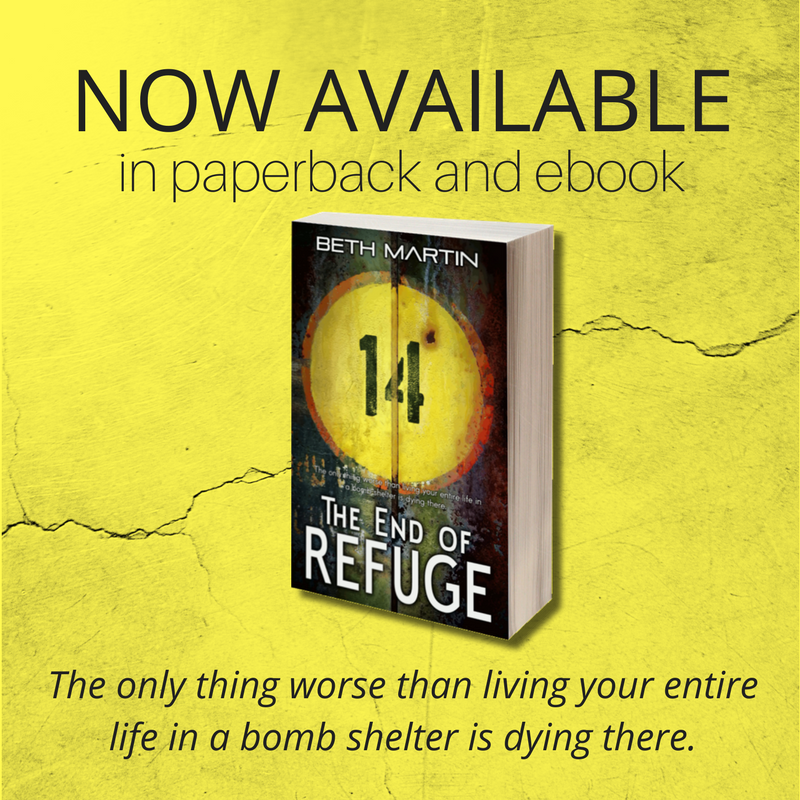 Beth Martin Books: Today is Release Day for The End of Refuge! Today is Release Day for The End of Refuge! The End of Refuge releases today! When I was in college, my University's entire fiction collection fit on a single low bookshelf. By the time I graduated, I had read most of those books. College-aged me never would have believed that I would one day write my own book. I was studying math to become an engineer or lecturer. I aspired to write academic papers, not prose. It's funny how life takes unexpected turns. But now, I can proudly say, "I am an author." I wanted to write a story about a typical person in a unique setting. There is nothing special about Juliet. She isn't the chosen one. She doesn't have any special abilities. She's just a young woman navigating life. But, her story isn't typical. Even a normal, humble person can rise to the occasion and find a way to persevere. Juliet's tale is that of finding the inner strength to overcome even the most challenging circumstances. When I started writing The End of Refuge, I set out to write an exciting adventure steeped in mystery with a healthy dose of romance. I thoroughly enjoyed writing this book and sincerely hope you enjoy reading it. Thank you so much for your support in my writing endeavors. I'm so happy to be sharing this experience with you and look forward to including you in my future writing endeavors. If you haven't already, make sure to sign up for my newsletter so that you don't miss any future announcements.